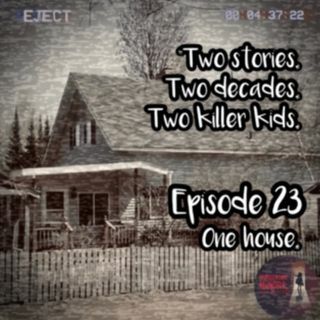 Two stories, two decades, two killer kids- one house. On March 7, 2015, just one day after her 17th birthday, Ashlee Martinson stabbed her mother, Jennifer Ayers, and shot her stepfather Thomas Ayers, to death in their family home. Almost two decades earlier, 14-year-old Jesse Halverson lived in that same house in Piehl, Wisconsin. He decided to visit his friend one day, 14-year-old Dustin Polinski, bringing tragedy with him. Sponsored by Care/of! Visit takecareof.com/killerkids ... See More today and get started on a healthier 2019 today!